How does it work? Well, in a nut shell, you buy a small cylinder from us and we'll continue to refill it at a reduced cost. If you were to bring us an outside-sourced small helium cylinder, we could fill it for $55. However, if you purchase one of our small cylinders, we'll continue to fill it for $41.95* as part of our customer loyalty program. Our current price on small steel cylinders (55 cu. ft.) is $165.00. This is typically the cost of the steel alone. The price of the helium content is additional. However, to start you off right, we'll honor the same price of $165, but include the helium and an economy balloon inflator! Then, when you're out of helium, we'll refill it for $41.951! Besides the obvious price reduction on refills, you're also increasing output for less money. A standard Balloon Time tank only contains 8.9 cu. ft. of helium (as opposed to 55 cu. ft. in our small cylinders) and costs anywhere from $19-$45. And a jumbo Balloon Time tank contains 14.9 cu. ft. with a price range of $34-$55. Even at the lowest pricing, you're paying $2.132 per cu. 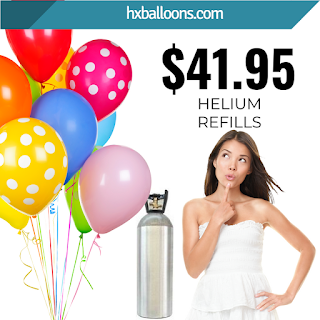 ft. of helium as opposed to $0.723 per cubic ft. And with your own small cylinder, you'll be increasing the output of a standard Balloon Time kit by 6 times! If you find yourself throwing one party a year and only need to inflate 10-20 balloons, then kits and disposable tanks are probably your best option. But if you find yourself purchasing a few of these kits in a year (or would like to, but are held back due to price), then purchasing your own cylinder would greatly benefit you. Please be aware that owning a cylinder will require hydrotesting. Cylinders must be hydrotested every 5-10 years for safety reasons. When you purchase a cylinder, we'll include your test date on the invoice so you'll know when it's due. When it's time to re-test, you can bring it back to us. We do not test the cylinders ourselves, but can get it done for you. 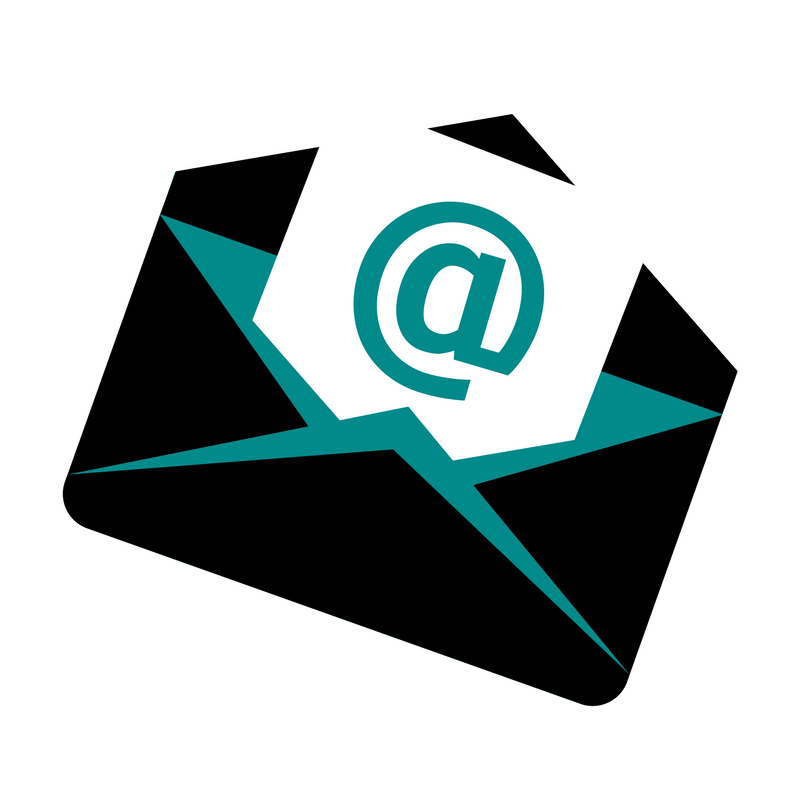 Currently, we charge $25.00 for this service and the turnaround time is typically one week. However, rush service is available for an additional charge. See an associate for details. As always, we encourage inquiries. We'd love to answer your questions and help you determine which option is perfect for you! NOTE: Prices and terms subject to change without notice. Also, we cannot guarantee any particular test date on the cylinders upon purchase as they are all tested within independent intervals of each other. UPDATE: You asked and it's here! 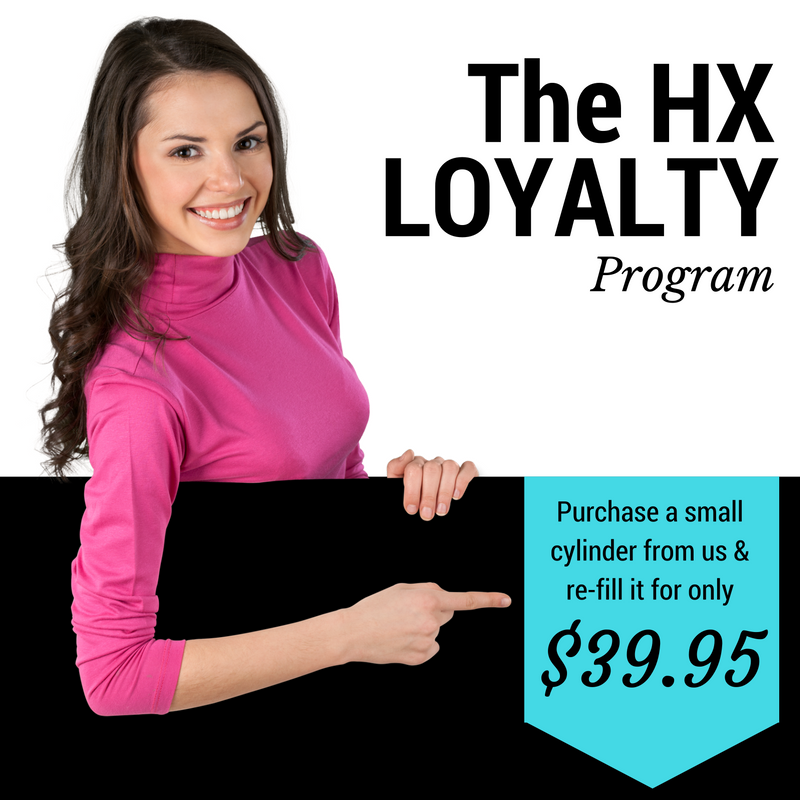 Our loyalty program has been extended to include medium cylinders. Typically, our medium cylinders sell for $290.50, the cost to fill it up is $115 and the inflator is an additional $28.50. But through our loyalty program, you get a 125 cu. ft cylinder (full of helium) with an economy balloon inflator for $300.00! Medium cylinders can inflate up to 200 12" latex balloons. When you need a refill, bring it back and get it filled for only $75! That's not all. You can now also purchase a large cylinder through our loyalty program! Read all about it here.